Peptide Conferences was formed in late 2012 following the success of the first two conferences run by Dr. Stephen Hoare - Peptide Arrays 2011 and Nanopeptide 2012 - to give a common brand to future conferences planned in the field of peptide science. These are the two principal benefits of any good conference. As well as selecting high calibre speakers, scientific programmes are designed in such a way as too leave plenty of time for informal discussions. Commercial organisations (instrument manufacturers, reagent suppliers, custom houses, etc.) have made many valuable contributions to the field of peptide science. For this reason, trade exhibitions have always been an important aspect of successful peptide meetings. As well as providing an opportunity to meet manufacturers and suppliers, companies' financial contributions help to reduce registration fees. In addition, companies can often offer valuable technical and methodological insights, and their contributions to the oral and/or poster sessions are welcomed provided they meeet the approval of the respective Programme Committees. Stephen's involvement with peptides began with a 4th year undergraduate project to synthesise the tripeptide ophthalmic acid (gamma-glutamylcyteinylglycine) that was not commercially available at the time. By the time he finished his doctoral research, ophthalmic acid had appeared in the Bachem catalogue, a development for which he could take no credit whatsoever. His industrial career began with The Boots Company, working on a process for production of semi-synthetic human insulin where he proved that the in-licensed process was a highly efficient way of making des-Ala(B30)-insulin rather than the desired product. The consequent change of direction of the group in which he worked led to him taking responsibility for the marketing of Boots Peptides, an attempt to establish a large scale custom peptide synthesis business. This was followed by a year with what has now become Fisher Scientific, from where he was recruited to establish the UK subsidiary of what was then Novabiochem AG. Whilst he was MD, the company grew to become Calbiochem-Novabiochem and a peptide synthesis instrument business was acquired from LKB Biochrom. The company is now part of Merck Chemicals, but the Novabiochem brand is still strong. After that, Stephen strayed into areas of cell biology and immunology through his involvement with Alexis Corporation (now part of Enzo Life Sciencs), although he never lost his love of peptide science. More recently he has established his own company, Innov-8 (UK) Ltd., that provides a range of marketing and support services. One client is INTAVIS Bioanalytical Instruments, who manufacture peptide synthesis instruments, and Innov-8 provides them with marketing support in the UK. 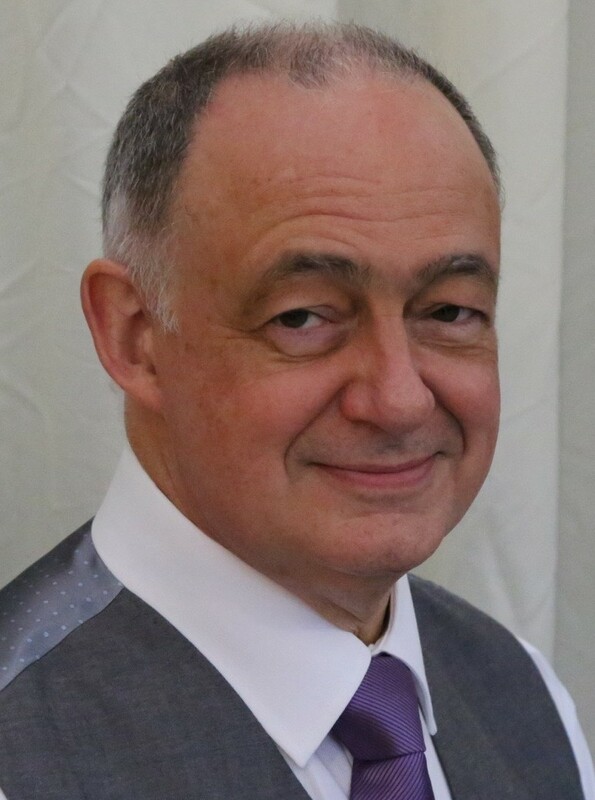 Stephen's first involvement with conference organisation was over 25 years ago when he helped Prof. Roger Epton organise 'Macromolecules 86' and then 'Macromolecules 88', the forerunners of the much-missed Solid Phase Synthesis conferences. He is a Fellow of the Royal Society of Chemistry and a committer member of the Protein & Peptide Science Group of the Royal Society of Chemistry. Your address will only be used to keep you informed about meetings organised by Peptide Conferences and other relvant conferences in the peptide sciences. It will not be shared with third parties. Sign up here.